Another from the long exposure workshop yesterday, this was taken just as the tide was on the turn. We didn't have to wade into the sea for these shots, although there were a few sharp showers so we did get wet again! The sea was quite rough but of course you wouldn't know that with the long exposure making the water appear lovely and smoooth. 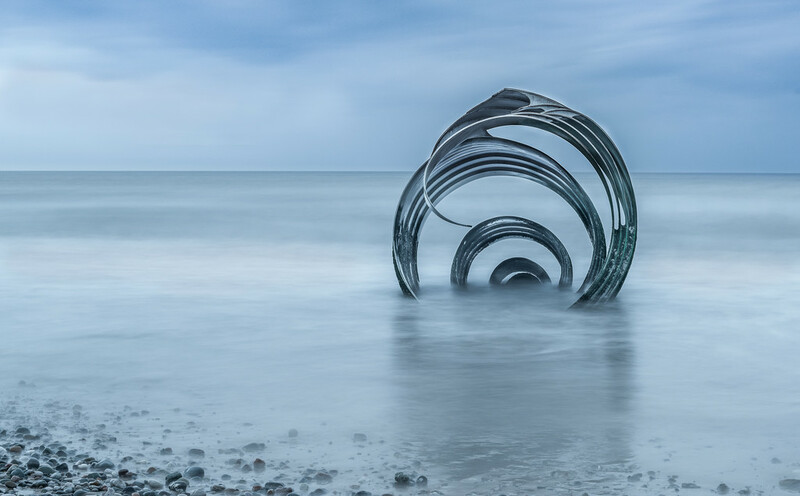 This is Mary's shell, a really impressive piece of public art on the beach at Cleveleys just north of Blackpool. It's 8 metres long and 4 metres tall. When the tide is out the shell sits on the sand so people can climb inside and listen to the sound of the sea. Tagging for the six word challenge. This has a lovely dream-like feel to it. Very nice! Wonder who lives in that shell. How many seconds exposure? Love the long exposure. Great result. How good is this, what a beautiful sculpture. It looks very dreamy with the long exposure too. @ludwigsdiana @jgpittenger I turned off the exif on export for something else and forgot to turn it back on. The light kept changing so there was a bit of guesswork on the exposure time. I was counting seconds too as I don't have a timer on the camera, I wanted this to be around 20 seconds so didn't do too bad at 22 seconds! f13, ISO 100 with a grad filter and a big stopper. This is amazing! I think long exposures are my favorite images and this one is so dreamy and beautiful. Well done! An interesting piece, nicely captured. An amazing photo, and an amazing piece of artwork. I have never seen anything quite like this. FAV - stunning shot. I didn't know about this art work. Looks like it is worth a visit. What a fascinating piece of art, captured nicely here. Great job!